When Lucy learns that Ricky and his band will be going out of town on a series of one-nighters, she wants to go along. Finding her old saxophone in the attic, she demonstrates her musical abilities by playing "The Glow Worm", the only song she learned to play in high school in Celeron, New York. To be like "one of the boys", Lucy attends Ricky's band auditions dressed in a wild zoot suit, complete with swinging watch chain: "Hey, man..hiya, cats! Give me some skin." Lucy auditions valiantly for her bandleader husband, but her sad rendition of "The Glow Worm" costs her the job. Determined to keep Ricky from going on the road without her, Lucy plots to make him jealous. Using Fred Mertz's derby and gloves, she leads Ricky to believe that she spent the afternoon with another man. This sends her husband into a proper jealous rage, until Fred happens to ask what his hat and gloves are doing in the Ricardo apartment. 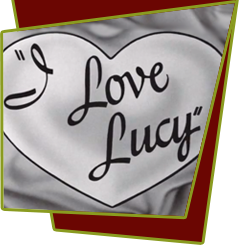 To teach Lucy a lesson, Ricky calls Jule at the musicians' union and arranges to have three or four guys, posing as Lucy's lovers, take up temporary residence in the Ricardo closet. The "lovers" arrive and the joke works perfectly, until the union man phones Ricky to tell him he couldn't get anyone to help out. Now Ricky is frantic, without realizing Lucy arranged the call.